Traveling or moving with your fish can be a bit complicated, but can go well if you do everything correctly. The first thing you should do is remove your fish from an aquarium if it exceeds five gallons. You should then place your fish in a break-proof container. You can take smaller aquariums with you while you are traveling, but you must be careful that they do not break. Otherwise, it is very risky to take large aquariums in your car. One option of containing your fish is a strong plastic bag, or a small bucket if you poke air holes into the lid. You should fill it one third of the way with its original aquarium water. If you put your fish in a strong plastic bag, you should then put an additional plastic bag around it so that the water does not leak out. You should secure them both with a rubber band. If you have a lot of fish, you should bring multiple plastic bags so they do not become too crowded. Bring some back up bags with you on the trip, in case the bag gets a leak. You should also bring a back up water bottle in case this happens. You can place the fish bags into a styrofoam container, like a cooler. If you bring your fish in the bucket, then you should make sure it is secure in the car so it does not fall over. You should also buy some liquid healing agent from a pet store (one that sells fish), and put it into the water during your trip. Follow the directions on its container. You should open up the bag or bucket once every four to six hours for fresh air. For your trip, you should try to bring a good deal of water from the usual fish aquarium. You should try not to experiment with new water too much at first, because water has different materials in it everywhere you go, and you do not want to harm your fish. When you reach your destination, you should put your fish back into its aquarium as soon as you can. You should buy some neutralizer agent from a pet store, in case you need to fill up its tank with tap water, and neutralize it. Over time, you should add more and more of the new tap water to your fish tank, so it can gradually get accustomed to it. What about travelling with one fish via plane? 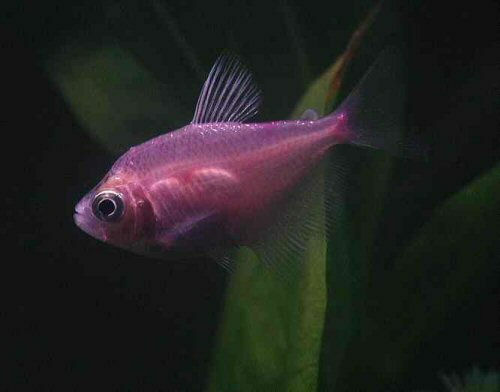 I have found little to no information and would like to take my betta fish home with me when I move from Japan to the US. Fish and Wildlife provides no information and airlines only have information about cats and dogs. Any advice? I do not think you can fly with fish. No airlines that I know of will allow that..